Heavily concentrated in Blaine, Major, and Garfield counties, Riviera has a core position in the NW STACK play targeting the Meramec and Osage formations. Recently there has been significant horizontal development within Riviera’s NW STACK position. 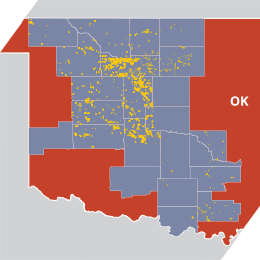 Additionally, Riviera has production from legacy vertical wells across Western Oklahoma producing oil, natural gas, and natural gas liquids from various formations throughout the basin. 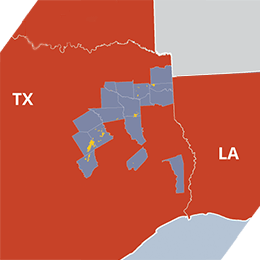 Riviera has approximately 110,000 net acres in East Texas with primary fields located in Overton and Personville. In the Overton field, Riviera has interests in over 400 wells. The Overton field produces primarily natural gas and natural gas liquids from the Cotton Valley formation. In Personville, Riviera’s production is primarily natural gas. 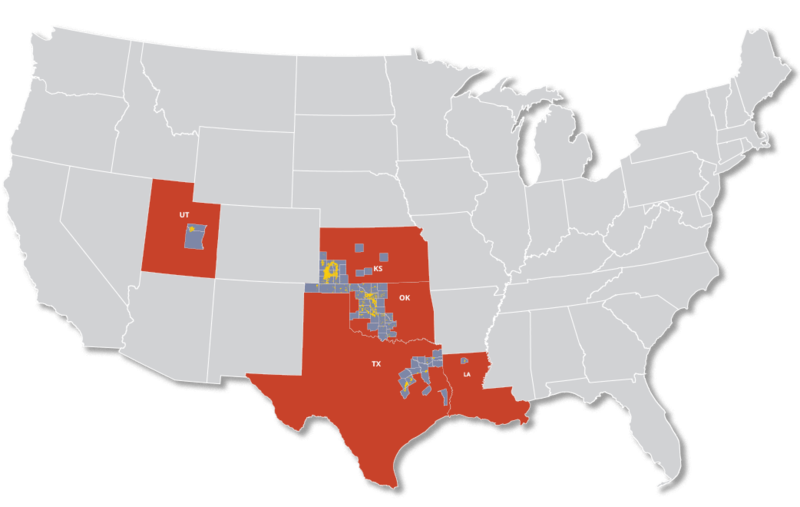 Riviera has interests in over 500 wells targeting the Cotton Valley Lime and Bossier formations. The company has a large inventory of drilling locations throughout the basin. 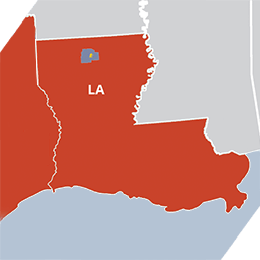 Riviera has approximately 100,000 net acres in North Louisiana. On trend to the highly prolific Terryville field in northern Louisiana, Riviera has several producing wells and future drilling locations in the Ruston field. Recently, the company and surrounding operators have drilled wells focused in the Bossier sands. Additionally, the Company has a significant acreage position in the Calhoun field, southeast of Ruston. 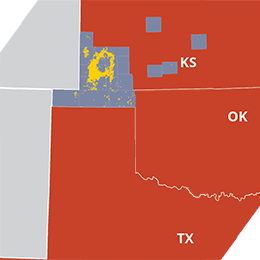 The Hugoton Basin, geographically centered in southwest Kansas, is Riviera’s largest producing asset. Riviera’s wells in the Hugoton Basin primarily produce from the Council Grove and Chase formations at depths ranging from 2,200 feet to 3,100 feet. The low-decline vertical wells produce natural gas, natural gas liquids, and helium. Riviera processes its liquid-rich gas at its Jayhawk Plant, a cryogenic gas processing plant with approximately 450 mmcf/d of processing capacity. Additionally, the Jayhawk Plant processes gas for other producers in the Hugoton Basin. Riviera’s Michigan/Illinois region features mature, low-decline production from vertical wells. 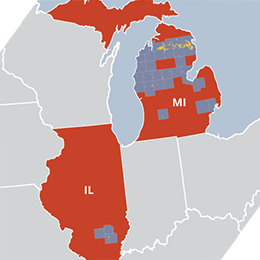 In Michigan, Riviera produces natural gas from the Antrim Shale formation at depths of 500 feet to 4,000 feet. In Illinois, the Company operates two waterfloods that primarily produce oil. 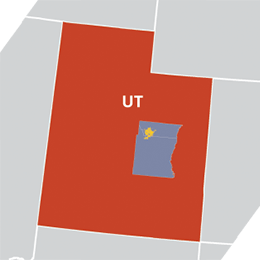 Located in Utah, Riviera has approximately 50,000 net acres located in the Drunkards Wash field. Riviera’s non-operated position includes ownership in over 500 wells. 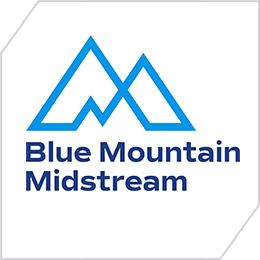 Riviera’s wholly-owned subsidiary, Blue Mountain Midstream LLC, has established a large position in the heart of the SCOOP/STACK/Merge play in Oklahoma. The Chisholm Trail system features a state of the art cryogenic gas plant with up to 250 mmcf/d of processing capacity. Additionally, the system has pipelines and compression to service horizontal production from dedicated oil and gas operators. Based on activity levels, Riviera believes Blue Mountain will have opportunities to continue to expand the Chisholm Trail system.